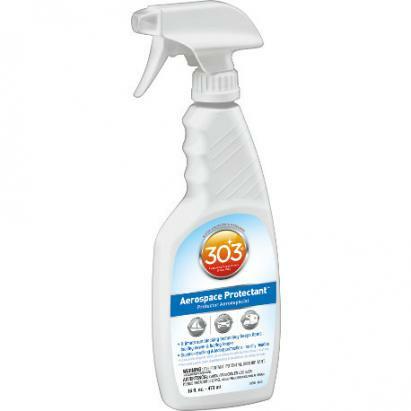 Originally engineered for aerospace and aviation applications, 303® Aerospace Protectant™ has found its way into millions of homes for day-to-day use on vehicles, sports equipment and more. Unlike many protectants that leave greasy residues, Aerospace dries to a clear matte finish without a trace of oil. And because it’s water-based, this protectant is safe to use on all products, from your vehicle’s paint job and leather seats to internal engine parts.